Today I'm so excited to introduce you all to Johanne, who has a lovely blog Scandinavian Love Song! You can follow her on Instagram here. Johanne is Danish and her blog documents her keen eye for interior design and love for Scandinavian lifestyle. 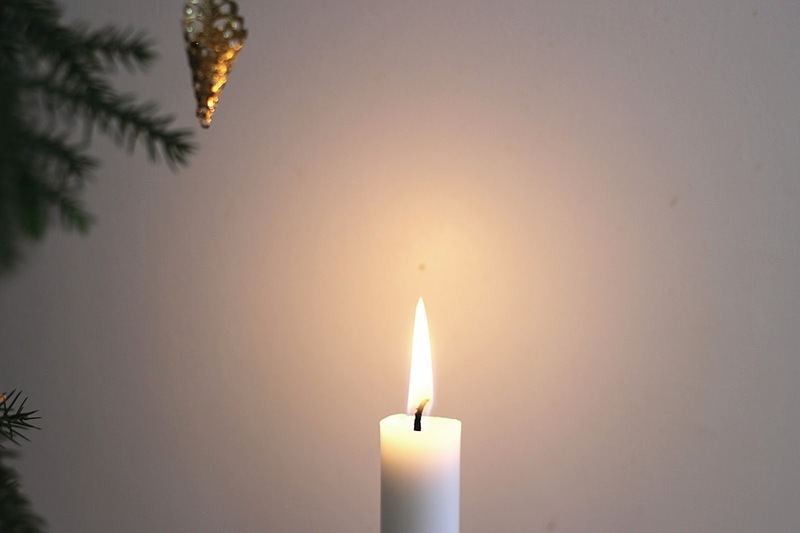 Her blog is full of beautiful pictures and posts (I am loving her Advent post here!) so be sure to check it out! There is nothing like Christmas traditions, is there? Every family has their own traditions that they cherish and look forward to every year and today I want to share with you one of my most treasured traditions - all the way from Denmark, with love. I have known my husband for 10 years now, but for some reason our Decembers have always been the most busy time of the year - not because of all the Christmas preparations, but because of our studies, work and examinations. 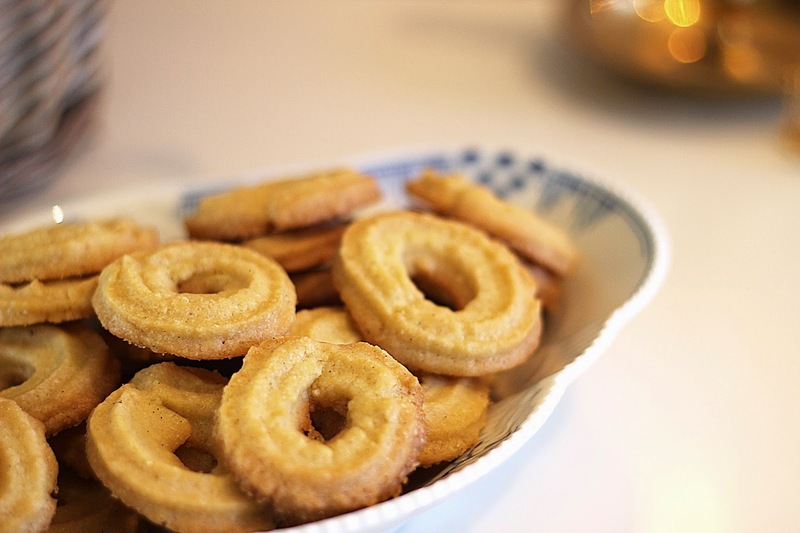 However, one thing that we have always managed to find time for no matter what, is making the traditional Danish Vaniljekranse. It's a super simple recipe, but they taste amazing. 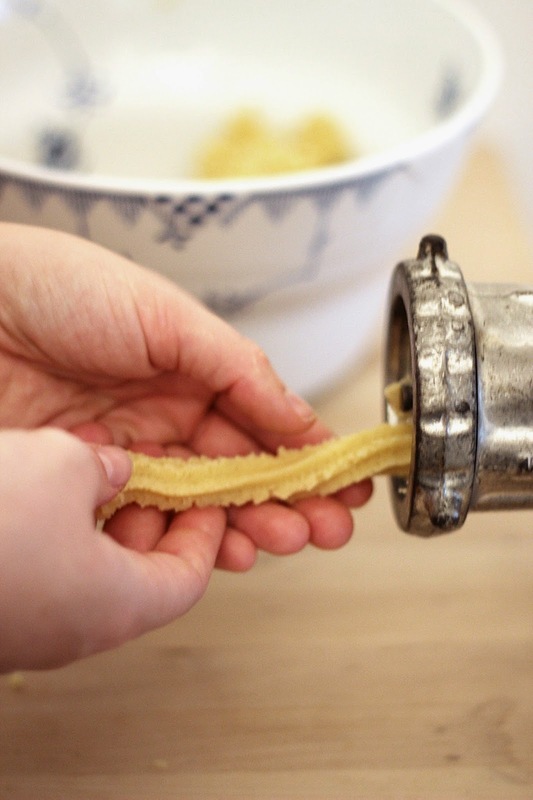 And the thing is: if you make them in the traditional way with an old meat grinder - you have to be two to make them. Making them the perfect Christmas activity for you and your loved one. Gently scrape the vanilla out of the pod and mix it with two tablespoons of the sugar so that the grains are separated. Keep adding sugar and mix it with the vanilla. Then, mix the butter with the flour with your fingers until it looks like grated cheese. Mix it with the sugar/vanilla mix. Finally, add the egg and quickly knead the dough together - not for too long though, because then the butter will make it impossible to work with. If the dough is too sticky, then leave it in the fridge for about half an hour. Preheat the oven to 190 Celsius and prepare a baking tray. 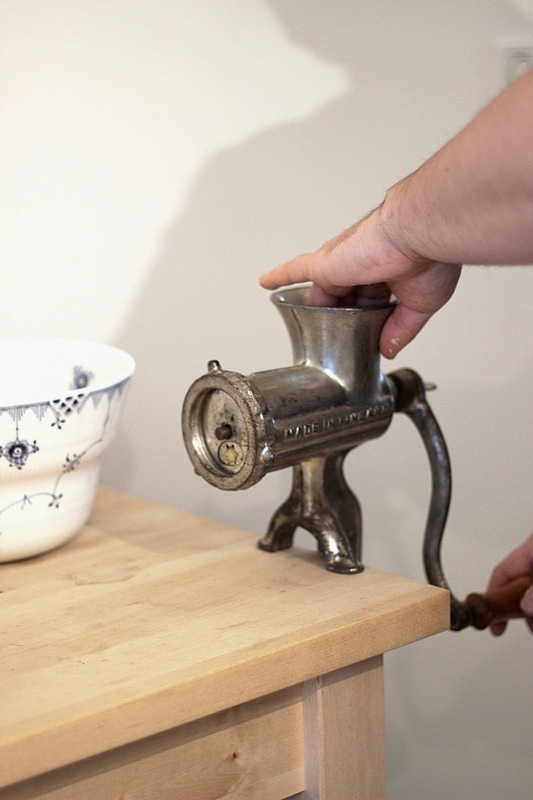 Now it's time for the fun part :-) If you have an old-fashioned meat grinder (like the one in the pics), run the dough through the grinder using a star shaped form. It's easier (and more fun ;-) ) if you are two for this part, so that one of you swings the handle, while the other forms the small wreaths when the dough comes out of the grinder. If you don't have an old grinder, no need to worry - you can use an icing bag, just make sure that the dough is not too hard. Finally, bake the wreaths in the oven until they turn light brown - approximately 10 - 12 minutes. Let them cool and.... enjoy! 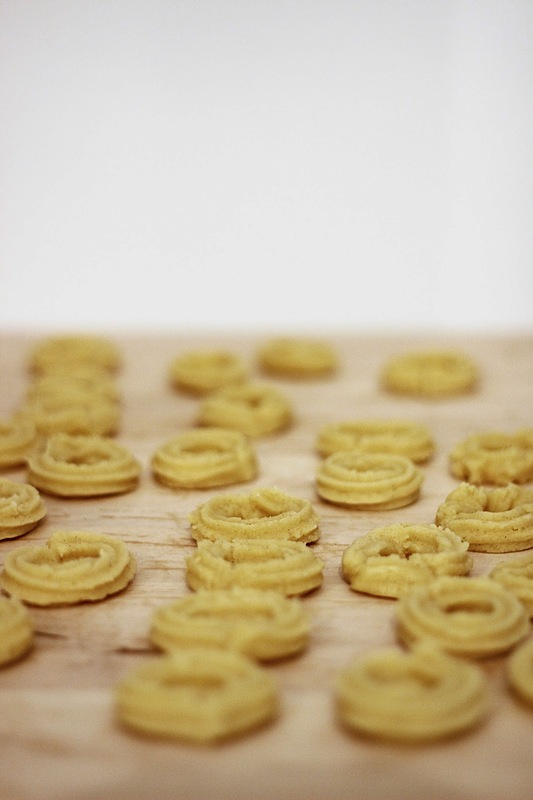 These cookies look very yummy and so interesting that they are made using a meat grinder! These look delicious! I do think i will use my electric cookie press however. Thank you for sharing the recipe. Am so excited to have discovered this blog. 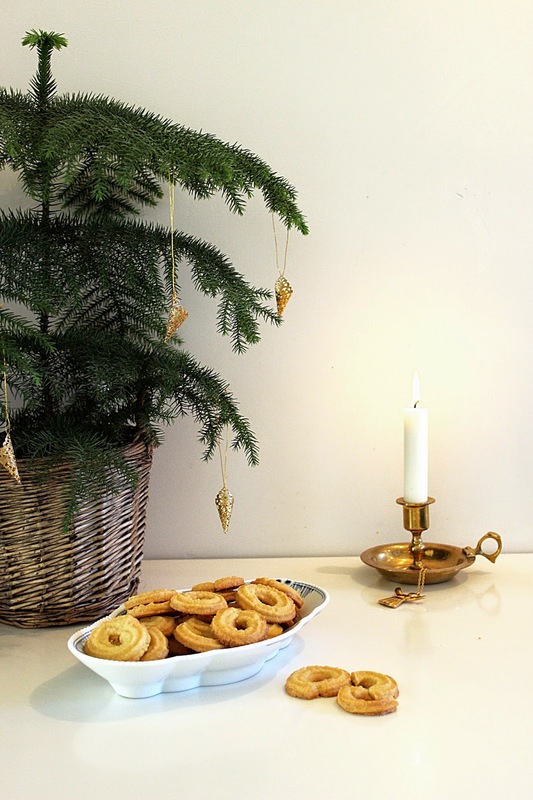 I too love Scandinavian Christmas and starting last Christmas and continuing it again this year I blog every day in December. 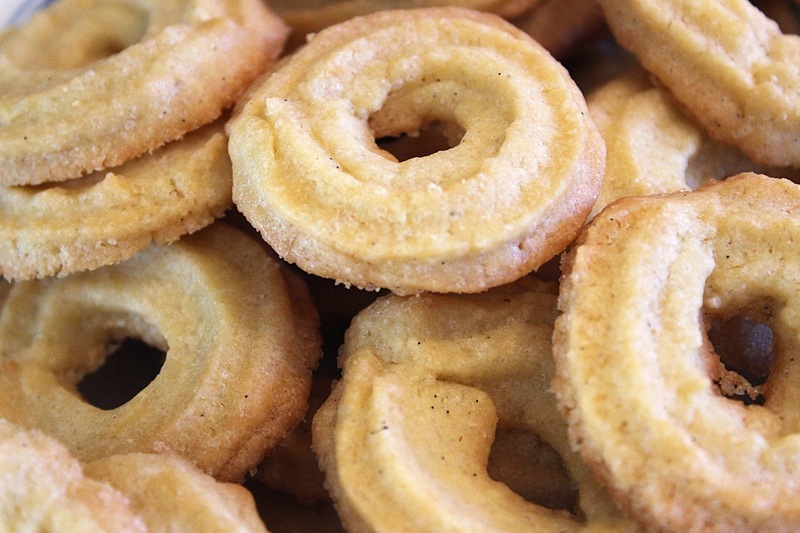 Love vanilla wreath cookies. Just delicious. Will be popping back daily. Thanks so much for sharing this recipe. The cookies look just beautiful. It is so interesting that they are made using a meat grinder! I love that you continue to make them using your meat grinder! I've never heard of that before but will have ask around at my Sons of Norway Lodge :-).